w14L x 16.1 tires. 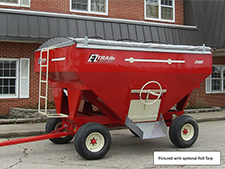 Welding shops have inquired about selling our wagons because they weld & repair other brands of wagons, but they seldom have to repair an E-Z Trail. 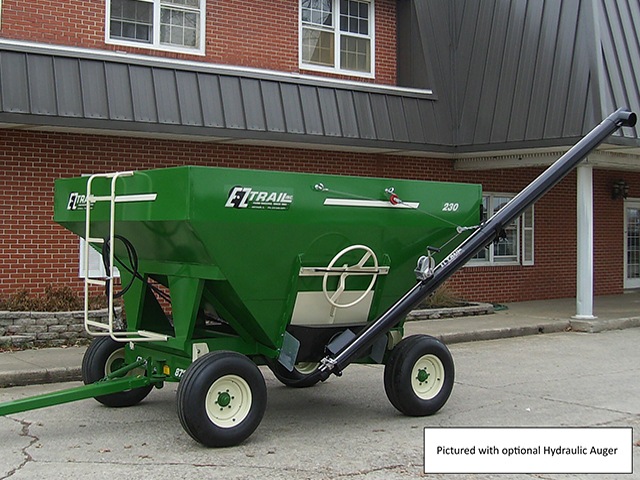 The oscillating axles do make a difference. 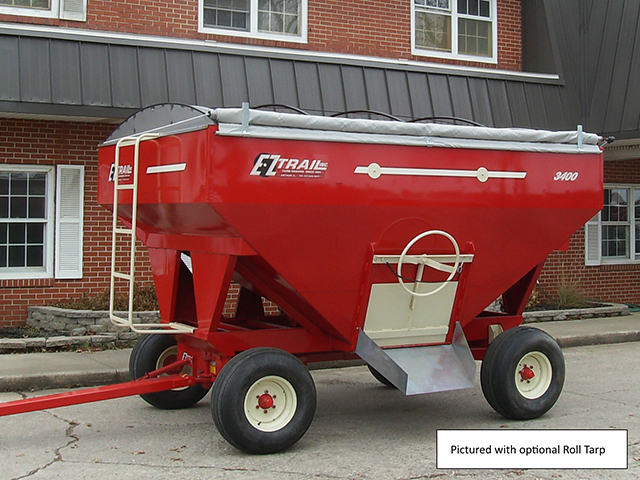 w/16.5L x 16.1 tires. 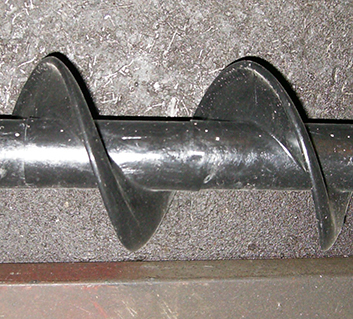 Inside extension flanges are self cleaning. US Patent #4,460,214. All wagons have adequate chute height, 17" to 21", for unloading into auger hoppers. 6" Hydraulic Auger, 12', 14' or 16' long, with special cupped flighting that handles fertilizer or seed with minimal kernel damage. 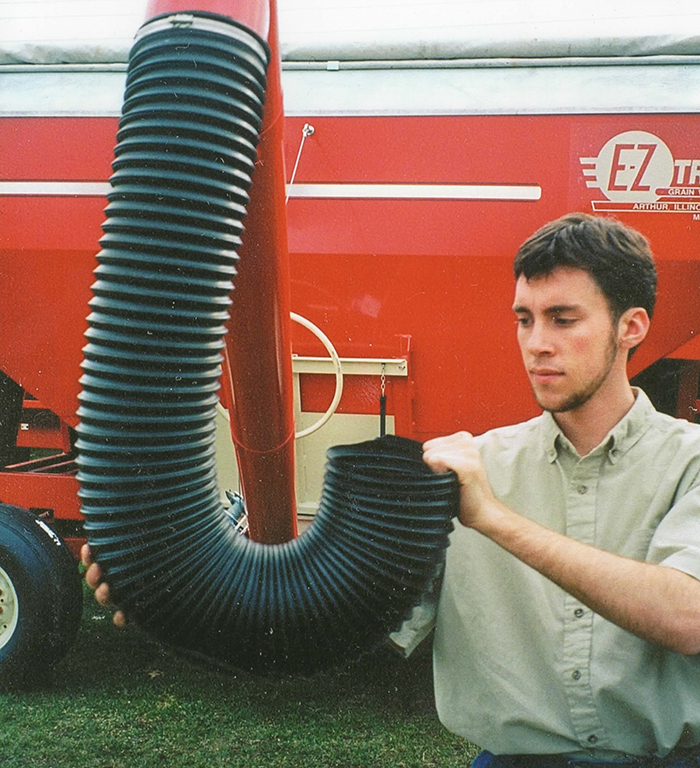 A test performed by an independent seed company found this flighting to cause even less damage than a seed blower! 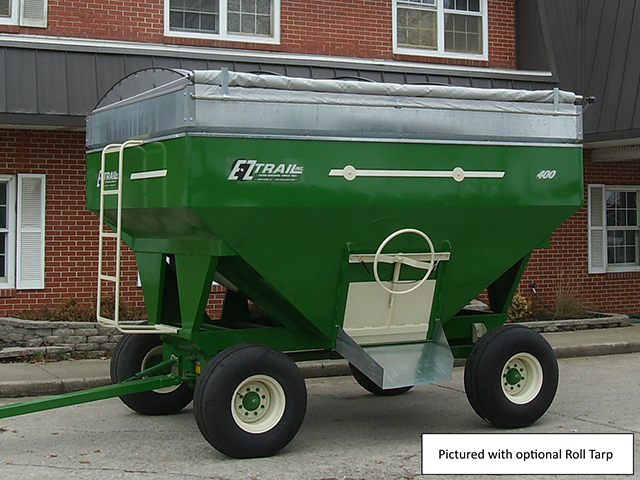 We now also offer Poly cupped flighting as a $300 option, especially for gentle handling of soybean seeds. 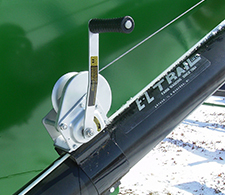 A full length fiberglass push-pull rod provides E-Z on & oﬀ ﬂow control. The auger pivots up and down, as well as forward and back. 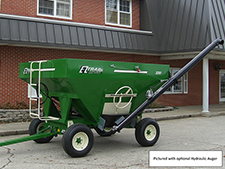 It comes with a brake winch, and a 38" hopper which can be easily adapted to ﬁt other brands of wagons with narrower doors. The optional cover has an 18 oz. 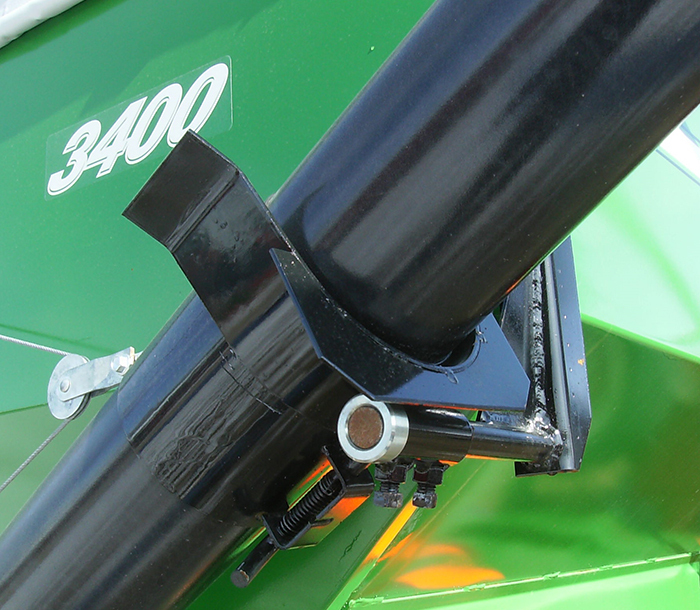 reinforced vinyl roll tarp, stainless steel end caps, & Shur-Lok latch plate to keep seed dry at planting time. 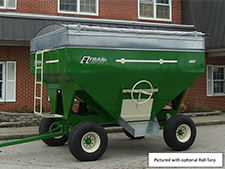 You can safely cover or uncover your seed in 30 seconds without climbing on the wagon. 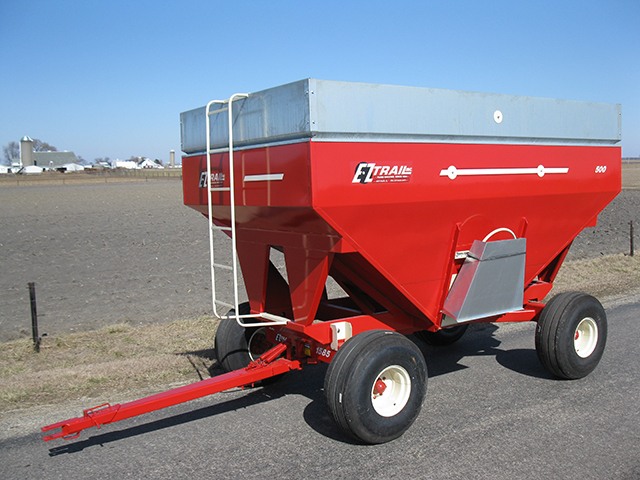 Optional: 2, 3, or 4 compartments can separate seed varieties or fertilizer. 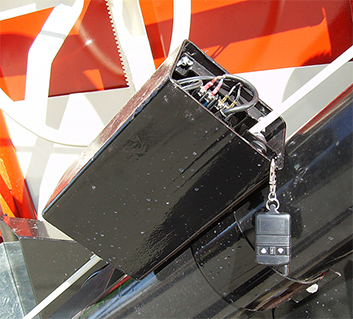 To easily open any compartment, simply insert a pin thru the main door and the inner door of any or all compartments. The 4ft. 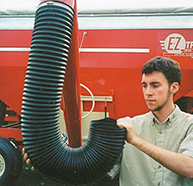 flex spout is corrosion resistant & highly flexible. 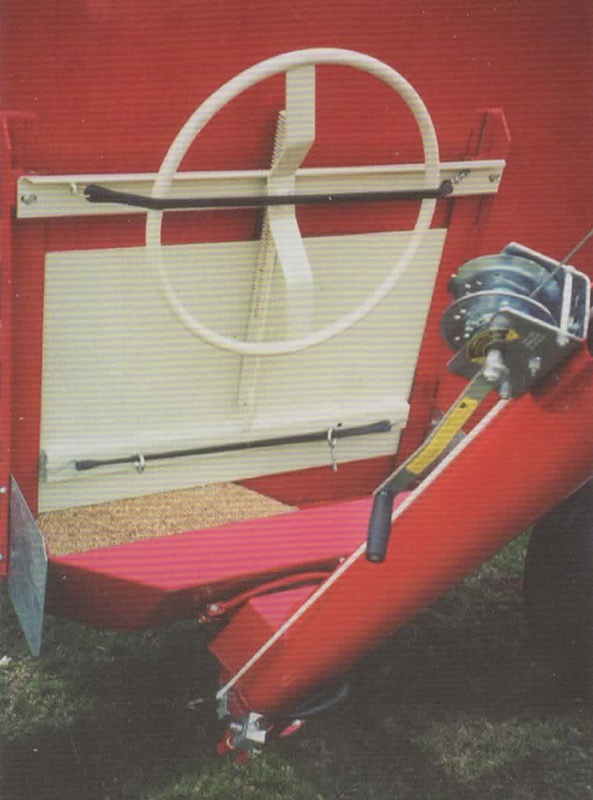 By turning the end into a "J", you can "hop" from one hopper to the next without turning the auger off. 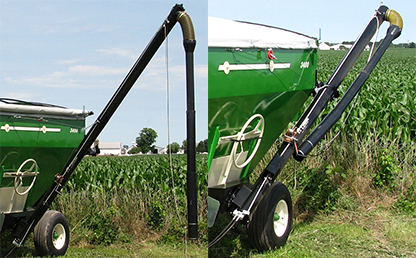 A 10 ft. telescoping spout is available for reaching farther without moving the seed wagon. Two ropes provide easy on & off control of the auger from the end of the spout. 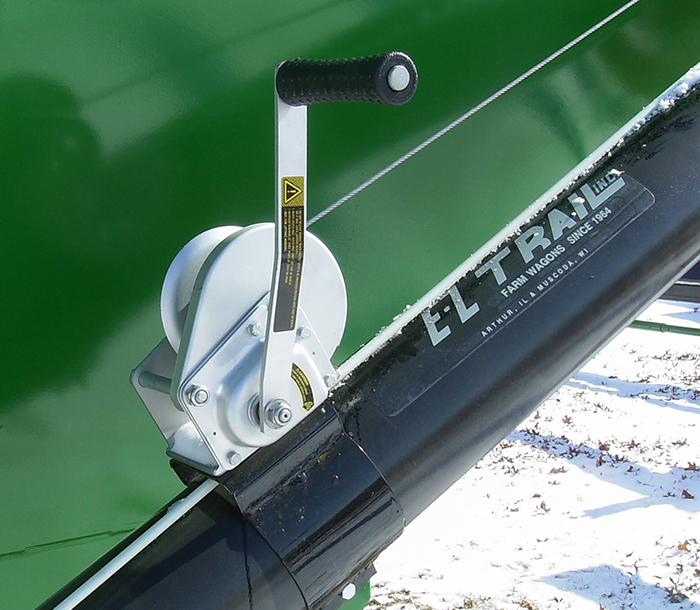 Standard features like brake winch, transport lock, and bottom clean-out door make the E-Z Trail hydraulic auger safe & E-Z to use on nearly any brand of gravity wagon! 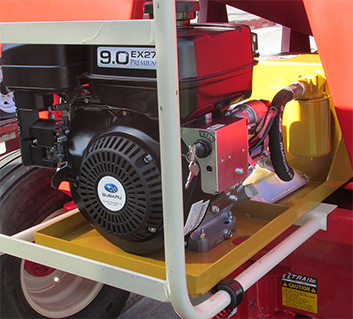 The optional "Auger Mate" hydraulic power unit, has an 9 H.P. Subaru Robin engine & a 5 gal. 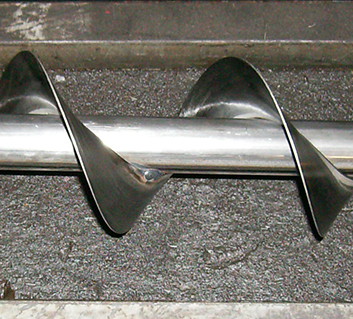 oil reservoir. The unit delivers 9 G.P.M. @ 1,600 P.S.I. 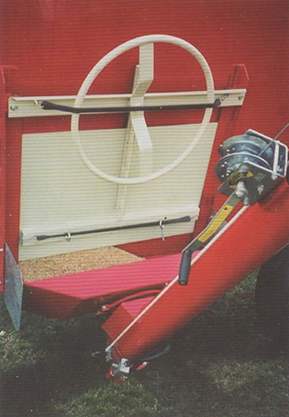 It can be installed on the wagon or carried on the towing vehicle. 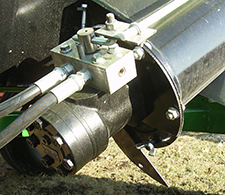 Optional Wireless Remote Auger Switch Kit: sim-ple & E-Z push button On-Oﬀ seed ﬂow control.